“I Wish” is a pitch freezer plugin that allows you to take any sound – a vocal recording, a drum beat or even noise, and instantly freeze it in time and pitch. The pitch-frozen audio can then be manipulated and modulated to create highly musical mind bending effects and sounds that have never been heard before! So What Exactly Can I Do With “I Wish”? 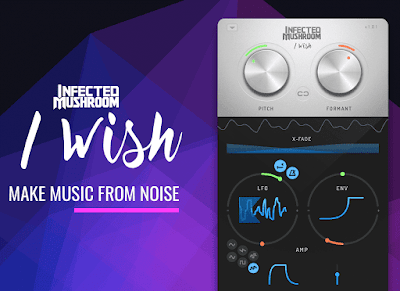 “I Wish” is a completely unique plugin that can take any ordinary sound, then freeze, twist and mangle it into something mind bending extraordinary… in no time at all! Normally €78 – get it at 50% off before it’s gone! 50% off the normal price (normally €78)! The only pitch freezer plugin on the market. Supports VST / AU / AAX plugin formats. To learn more about all the controls available in this incredible plugin please read the Manual HERE. Perfect for all kinds of music including Psytrance, Glitch, Dubstep, Electro House, Hardstyle & Pop!